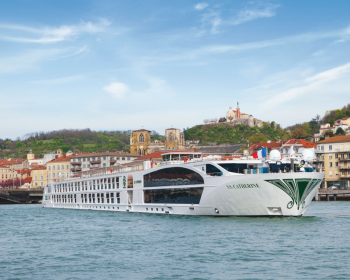 Join the Purdue President’s Council for a seven-night Rhône and Saône river cruise past medieval villages and rolling vineyards aboard the all-inclusive, 158-guest Uniworld S.S. Catherine. 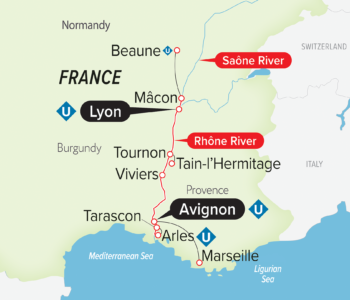 Journey from Avignon to Lyon, through the wine-growing regions of Burgundy and Provence, and visit picturesque places adorned with Roman ruins and ancient architecture, stroll down enchanting cobblestone alley-ways, and sip fine local wine atop panoramic hills. Arrive at Marseille International Airport. You will be greeted by a Uniworld representative and transferred to the Uniworld S.S. Catherine docked in Avignon. Known for its remarkable Roman ruins, Arles has existed since the sixth century when it was founded by the ancient Greeks. It was here that the Romans built their first bridge across the Rhône River, creating a vital overland route between Italy and Spain and facilitating the expansion of their empire. Long renowned as one of the region’s most attractive cities, it lured artist Vincent van Gogh, who painted hundreds of works here including “Starry Night.” A short distance from Arles is the ancient and charming town of Tarascon. Its many medieval sites include a 12th-century church and a 15th-century castle. Bask in the warmth of the Provençal sunlight in either of these friendly Mediterranean towns. The walled city of Avignon, in the heart of Provence, is one of the most fascinating towns in southern France with a host of historic gems to explore. 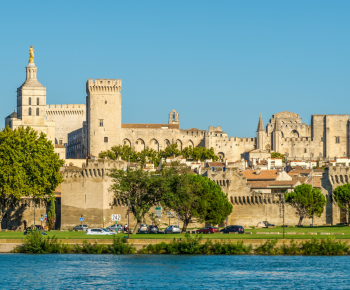 Avignon is home to two UNESCO World Heritage Sites – the mighty Palace of the Popes, an equivalent of today’s Vatican where the pope lived in the early 14th century, and Pont du Gard, a 2,000-year-old ancient Roman aqueduct. 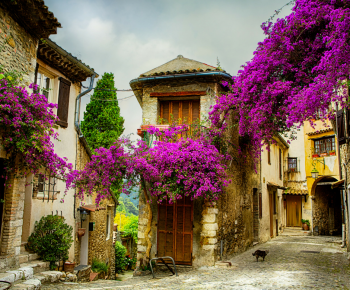 An enchanting village where time seems to have stopped centuries ago, Viviers has a long and storied past that goes back more than 1,600 years and a splendid architectural heritage to match. At one time, Viviers was divided along religious lines – the clergy lived in the upper part of the town, the laity in the lower part. 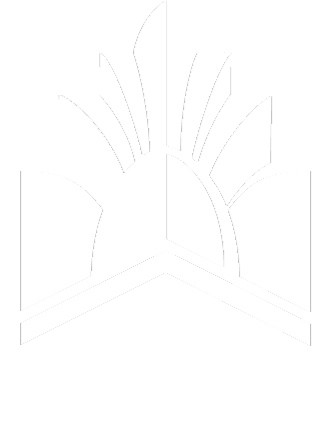 Your exploration of the town will take you through both parts, as you begin at the crest and make your way to the riverbank. Visit the fountain square in Old Town, that combines Roman and medieval influences and stroll down cobblestone lanes so narrow you can stand in the middle and touch the historic houses on either side. Nestled on opposite sides of the river in the heart of the Côtes du Rhône, the picturesque twin cities of Tournon and Tain-l’Hermitage are an ideal destination for connoisseurs of fine wine. 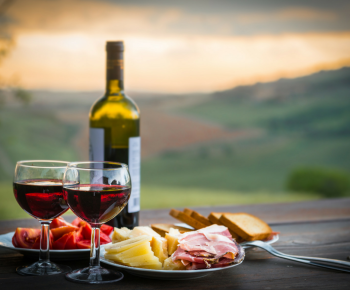 Whether you opt for a guided walk or a more vigorous vineyard hike, you’ll have a chance to taste the local wines made primarily from Syrah grapes that grow on the steep slopes lining the river. 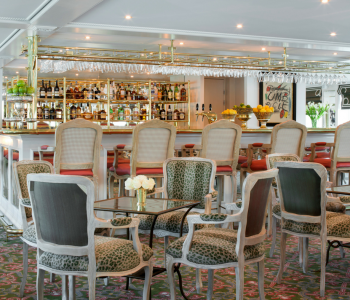 At the epicenter of French gastronomy, Lyon is a city of tantalizing contrasts. 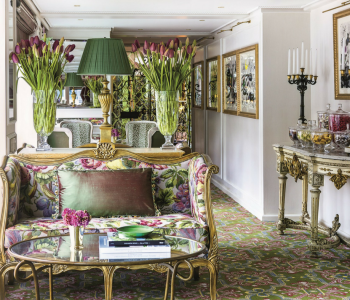 The city boasts colorful Old-World façades, medieval mansions, and hidden passageways as well as a sophisticated urbanity reminiscent of Paris. Situated at the confluence of the Rhône and Saône rivers, and with roots stretching back over 2,000 years to the days of Julius Caesar, Lyon is a place of fascinating dualities. 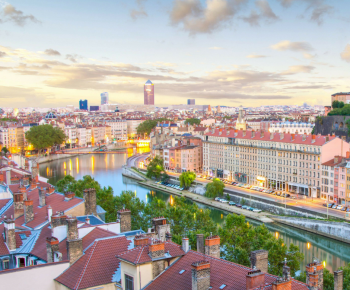 Take a walking tour to learn of the important culinary history of Lyon, explore the city’s historic quarter and learn of its rich history of silk-making, or take a guided bike tour along the banks of the Rhône River. 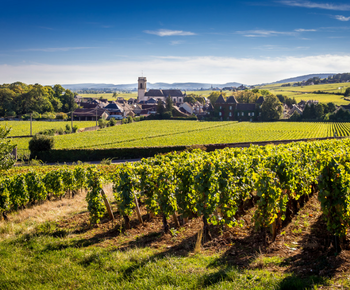 The pace of life is decidedly more relaxed in Burgundy, where endless rows of grapes hang heavy on the vine. The capital of the region’s wine trade, Beaune, is renowned for its history, beauty, and highly prized wine, as well as its medieval-era hospital—the Hospices de Beaune. Located in the southernmost part of Burgundy, Mâcon, a Saône River port, is your gateway to Beaune. Mâcon, also known for its wine, has a distinctly Mediterranean feel and looks to the south for inspiration with its charming pastel-colored buildings. Disembark the Uniworld S.S. Catherine. You will be transferred with Uniworld to Lyon–Saint-Exupéry Airport for your flight home. 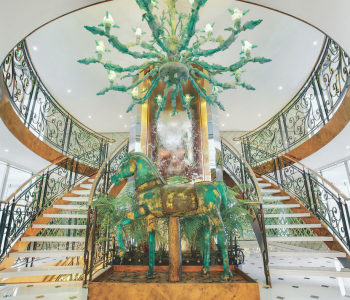 past Uniworld cruiser, or if you book by May 15, 2019! Rates do not include port taxes of $170 per person. Single pricing is based on one person per stateroom and is capacity-controlled by Uniworld and subject to change. Pre-Cruise Package details coming soon! Cancellation Penalties: All cancellations must be made in writing to Global Tracks. Any payment to Global Tracks constitutes your acceptance of the terms and conditions set out herein, including but not limited to the Cancellation terms. Total Fare calculation includes river cruise fare, pre-cruise package and extended land programs. Airfare is non-refundable once ticketed.